Many employers vet potential staff as part of the recruitment process. Such screening procedures vary by industry and work type, and in some instances take several months to complete. Anyone who applies for a new job should therefore assume that some form of vetting may take place. The law is hazy in some areas of the process, but in others is clear. Either way, everyone has a right to know what to expect. Vetting companies offer a range of pre-employment screening services to employers. With basic general vetting, a company can confirm a person’s name, address, date of birth, employment history, qualifications, and references. A vetting company can also check driving licences, county court judgments, credit and bankruptcy status, and ownership of companies. Some employers take a simpler approach. They save on the cost of vetting companies, and ask potential staff to produce relevant documents: certificates showing qualifications, for instance. Either way, the Data Protection Act applies. Vetting checks must be relevant to the job, and an employer must not hold any evidence longer than necessary. Criminal record disclosure has three levels: basic, standard, and enhanced. Basic disclosure is open to anyone, including a potential employee, and provides details of someone’s unspent convictions and current criminal records. Standard disclosure provides the basic disclosure details plus spent convictions. Enhanced disclosure provides everything in a standard disclosure plus any warnings, reprimands, or cautions the police have given. A Chief Constable may also supply further details he or she considers appropriate. Employers use a standard disclosure when they are recruiting for a position of trust. They request an enhanced disclosure when a potential staff member will be working with vulnerable adults or children. Disclosure Scotland runs the basic disclosure scheme. The Criminal Records Bureau runs the standard and enhanced disclosure schemes. 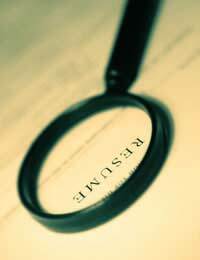 It’s worth noting that a potential employee receives a copy of the results of a standard or enhanced disclosure. With cyber vetting, employers run checks on potential members of staff by searching for details about them on the Internet. These details may appear on a personal website, on a social networking site, or on a current employer’s site. Cyber vetting is relatively new, and some lawyers have argued that Internet data, such as information on a social networking site, is irrelevant to the job an employer is recruiting for. Potential staff could therefore invoke the Data Protection Act and limit the extent of the cyber vetting process. Two industries have specific vetting procedures. The Security Industry Authority (SIA) regulates and screens private security firms. The SIA reports to the Home Secretary, and derives its legal power from the Private Security Industry Act 2001. The airport industry is bound by the terms of the Aviation and Maritime Security Act 1990. All businesses involved with UK airports must screen potential staff in line with this Act. There is also a specific vetting process for non-UK nationals. Under this process, the government obliges employers to request certain documents from potential staff that come from outside the UK. The type of documents depends on the countries of origin. Someone from the European Economic Area (EEA), for instance, must produce a passport, identity card, or Home Office registration certificate. In reality, an employer asks all potential staff to show their passports at the very least. This stops charges of discrimination against the employer. When someone considers a new job, he or she should check for any vetting procedure. If the company says nothing about this in its recruitment papers, the HR department may have more details. For most people, the vetting process is nothing to worry about. Nonetheless, a potential employee has a right to know what checks an employer intends to conduct, and how long they may take.